This photo was taken on November 5, 2012 at 2:31pm. 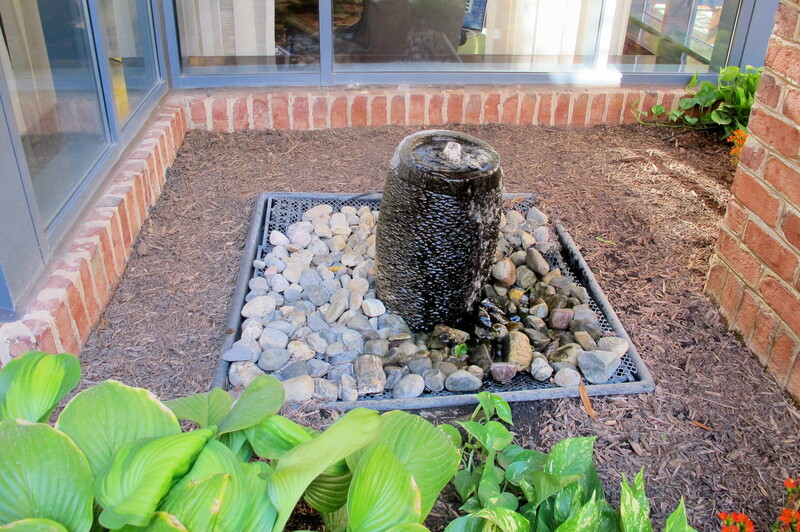 The location was in a patio in a hotel in Alexandria, Virginia. The "Take It!" came from looking at this very modest but very cool bit of art work. The use of the pebbles as a surface to the small bubble fountain was something I had never seen before. I wonder how the artist kept the concrete inner core of the piece wet enough, long enough to press the pebbles into it for anchor purposes. It looks like there was a lot of preparation involved. 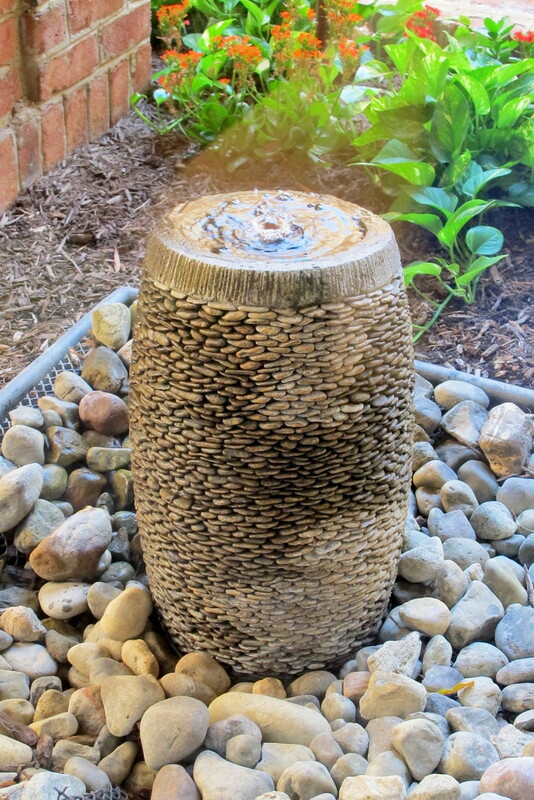 The piece is in a patio of a hotel and is almost Oriental in its appearance. I the sound of the fountain is very low key and offers a very nice contrast to the busy hotel lobby which is close by. The After Take: This photo series took three different visits to capture what it was that looked good to me. I quite frankly did not truly know how to approach it - but am happy with the results. Everyone liked the stone photos and were surprised and pleased to see that they were all a part of this very pleasant fountain. 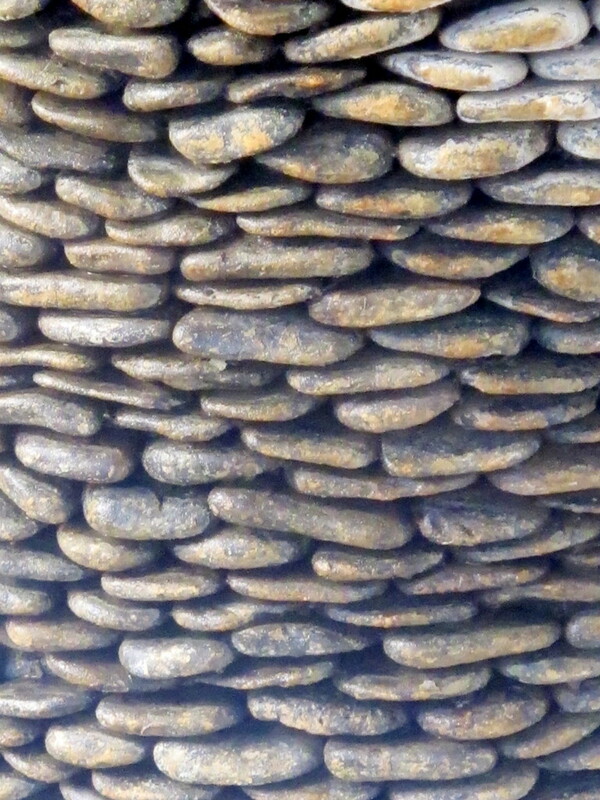 Stone work fascinates me. It is such a great art form no matter if it is in a small piece or used to build a massive wall. The artist or stone masons are masters of a great craft. I have several stones as decorative pieces in my house. They are always good for the telling of a story. My suggestion is that you capture a photo of a stone and have it blown up and framed to place in your home for it will connect you with where ever it came from with each glance you take at it. Thanks for joining us for the current photo presentation. You are cordially invited to return Friday, February 8th for a new picture that we hope you will enjoy. The Eyellusion sent me here. Guess no one got it! Wow, no one came close!!! I should have gone to the Eyellusion first. I can say for sure I would have gotten it wrong though.